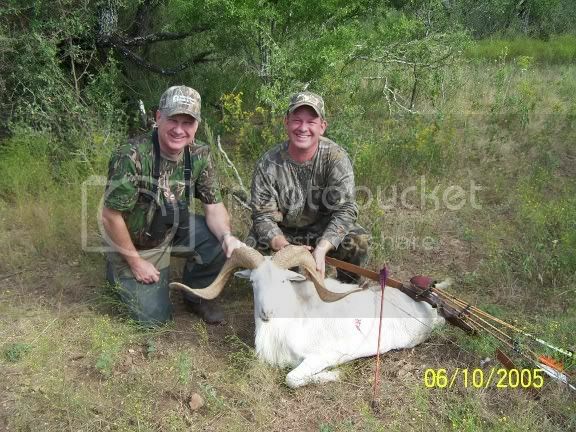 Here's some pics of the success I had on a hunt in Hondo Texas at the AOA Ranch on 10/5 - 10/9. 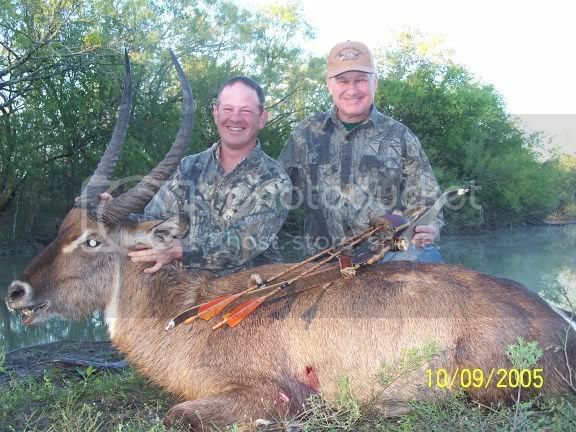 Dad and I both took animals but since his was with a rifle, I won't show them. Regardless, we both had a great time and fellowship. The remaining kills were with Simmons Swirl Shafts I fletched and Wensel Woodsmen heads. Man!!! 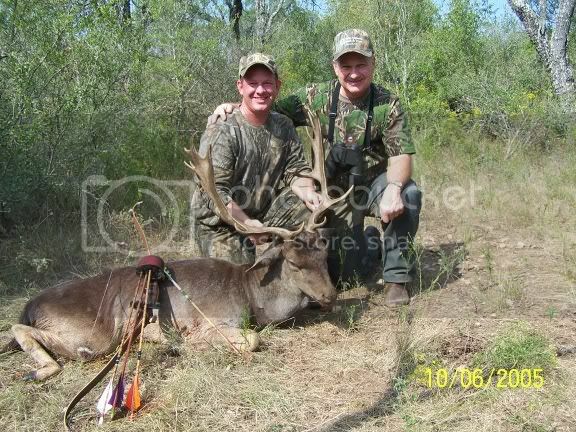 that is great hunting, way to go and Congrats to both. Thanks, it was great to hunt with dad. We had good weather, good travel, and good fellowship with each other, and our friends at the ranch. I just couldn't get over how everything fell into place on the fallow deer and texas dall. Just one of those times where everything went just right,and I couldn't seem to do anything wrong.